TTXGP founder Azhar Hussain has spoken of his bafflement and bitter disappointment after the Isle of Man launched its own electric TT race and severed arrangements with TTXGP. "I read the press release at the same time as everybody else" says Hussain, whose series will continue with its race programs in Europe and America. 2009's inaugural TTXGP race garnered a huge amount of publicity for zero-emissions racing and the Isle of Man in 2009, and in the release Tourism and Leisure manager Martin Quayle acknowledges "We have enjoyed a very successful partnership with TTXGP". 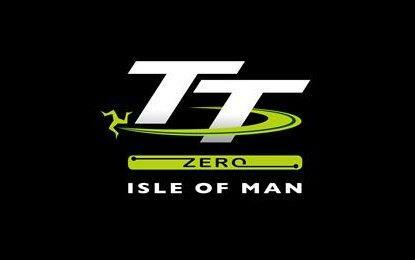 Yet in spite of the event's success and the fact TTXGP have managed to sign almost all of the big teams for its 2010 events, island authroities have chosen to launch their own event - TT Zero - running to the same rules as govern the FIM's stuttering ePower series. Ironically, it has emerged that only Hussain's own firm Mavizen had so far committed to build bikes for the race on the Isle of Man, as there are significant re-engineering challenges involved in converting a short-circuit e-racer for the long TT lap. The island is pinning its hopes on a £10,000 prize for the first zero emissions bike to record a 100mph average lap to attract entrants. Rob Barber set an average speed of 84.819mph to win last year's race for Team Agni. The petrol 100mph lap was breached as long ago as 1957.